3 Comments | By Shreya S.
Let's begin with what essentially defines a sequel - it should either be a protraction of a story with built plots and characters or a direct lineage of the basic theme. In the worst cases, they are made solely for the sake of profiting off the success of the prequels. 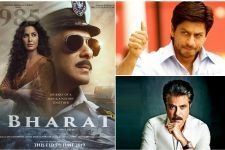 As history states, Bollywood has produced some cool and crazy ideas repeatedly, creating many movie franchises - some good and well, some not-so-good ones. Here's our take on why some sequels should never have been made! After Dhamaal (2007) turned out to be an unexpected hit at the Box Office and with the critics, the announcement of a sequel by director Indra Kumar had us tremendously excited - all in vain! The ensemble cast, including popular actors like Sanjay Dutt, Arshad Warsi and Riteish Deshmukh reprised their roles, but failed miserably at reprising the comedy, forget doubling it! The glam-quotient in the form of Kangana Ranaut and Mallika Sherawat went unnoticed, except when they indulged in some screaming and poorly-directed acting. A sequel to Ajay Devgn's gangster-flick, Once Upon a Time in Mumbaai (2010) in the literal sense, the movie had Akshay Kumar playing the grown-up middle-aged Emraan Hashmi. While the prequel was appreciated critically and commercially, the dobaara quotient did nothing but fall flat. Reportedly based on the controversial love affair between a famous damsel and the underworld mastermind, OUATIMD had nothing new to offer. The cheesy dialogues and cold chemistry between the leads, topped off with Sonakshi Sinha's (Jasmine) over-the-top small-town girl act, leave you grilled. Kumar, as the flamboyant anti-hero, is the only saving grace, and single-handedly pushes the collections to an average Rs 60.11 crore. The much awaited third instalment in the Rakesh Roshan-directed superhero sci-fi series was a huge disappointment to critics. It was proclaimed to bear resemblance to Hollywood's famous X-Men and Superman series, while its predecessors Koi... Mil Gaya (2003) and Krrish (2006) were huge trend-setters in their respective genres in terms of concept and visualization. Despite an exceedingly talented star-cast, the film faced massive public and critical backlash for its screenplay and dialogue. The soundtrack by Rajesh Roshan, felt like one picked straight from the 80s! There was also some mediocre mental outrage about the suffix 'three' being added to the title (and a lot of trolling). Overall, the trequel did manage to generate a revenue of Rs 2.44 billion, but failed to hit the right chords with reviewers and analysts. YRF attempted its first modern action flick Dhoom (2004) after the 1988-released Vijay and not so surprisingly, it went on to become a cult film. From a speed-oriented chase drama, the sequel conveniently switched from a buddy cop to a heist backdrop, but still created ripples of thrill among audiences. The much hyped, promoted and marketed trequel looked promising with its extravagant stunts and locations, but Katrina's star-power, Aamir Khan's perfection and admittedly very little presence of Uday Chopra ultimately couldn't spell magic. The movie went on to surpass many records by earning over $100 million worldwide, making it the fourth highest grossing film in the history of Indian cinema. Regardless, the film lacked what the Dhoom-series was celebrated for - the kick. Khan was a persuasive antagonist but the intention was quite unconvincing. This failed slapstick is infamous for two reasons: an underutilized supremely talented cast and for being a woeful spoof on Welcome (2007). Agreeably, the prequel wasn't a chest of logic, but it did tickle our funny bones at times. 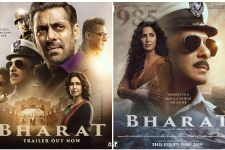 While the sequel bore a series of mistakes, starting with the replacement of the hit lead pair Akshay Kumar-Katrina Kaif with John Abraham and Shruti Haasan, the remaining unfolded with every page of the script. It is tolerable in parts solely because of Nana Patekar and Anil Kapoor's bhaigiri-style bromance and Paresh Rawal's decent act as the troubled Dr Ghunghroo . Veterans like Naseeruddin Shah and Dimple Kapadia are simply wasted. Astoundingly, the movie went on to become the fourth highest grosser of the year. Yes, we have the same question as you do - how? Terrible sequels are not just terrible films, but also let down their prequels, some of which went on to become classics. However, where there's bad, there's always good. Some sequels do not just break the "second ones are never good enough" myth, but are so awesome that they give the impression that the makers are sheepishly mocking themselves! For example, the Kangana Ranaut and R. Madhavan starrer Tanu Weds Manu Returns (2015), where four years into their troubled marriage post Tanu Weds Manu (2011), the lead characters have a major fall-out only to reconcile in a heart-touching but hilarious way. The eccentric gangster-thriller Gangs of Wasseypur 2 (2012), which revolved around the second generation crime families, was also a huge critical success. Some of these forlorn films still manage to make enormous profits, thereby creating a loopy never-ending sequel-culture. Last Friday witnessed yet another trequel, Housefull 3 of the Housefull-franchise. While the movie received mixed responses from the masses and critics, it managed to witness the second-largest Box Office opening of 2016. Editors: Tanisha N. and Gunia K.
What 2 say about RAAZ, Murder even Aashiqui.. this movies had fabulous part 1, but their sequels had no link with prequels (Quasi-Sequel in brief) & were made hits with paid reviews.. I agree with most of this article but to be honest, Krrish 3 wasn't really that bad! Although I do agree with most of this article, I didn't think that Welcome Back was actually that bad.